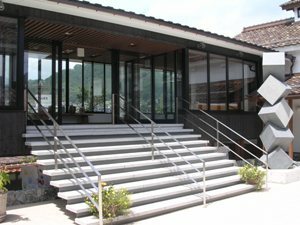 Hishio was founded to enrich the cultural life of Katsuyama and the surrounding area by promoting cultural exchanges, bringing artists from all over the world to this hidden corner of Japan and also offering local artists an excellent venue to exhibit their work. Visiting artists gain new experiences and inspiration from this unique environment and enjoy the warm hospitality of the town. Both parties benefit from a forum to creatively share ideas and develop new concepts.